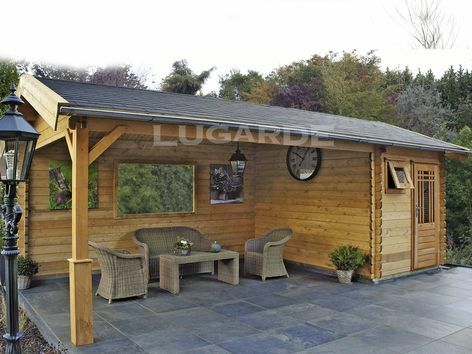 The Lugarde Hanover comprises a small log cabin with a generous canopy to the side. 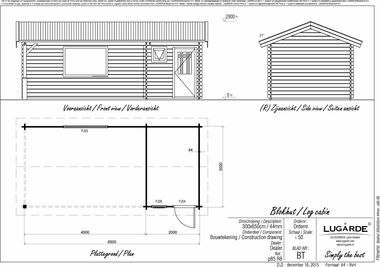 The canopy is enclosed to the rear with a large window in the back wall. The supporting post features braces and a decorative base.